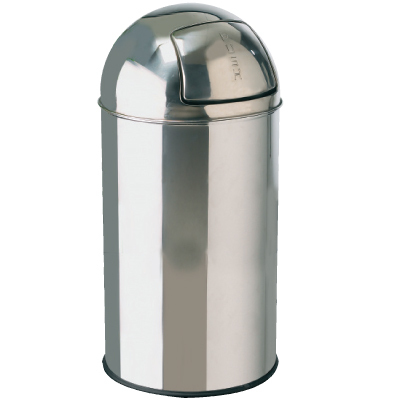 This Stainless Steel Bullet Bin with a Dome Top comes with a spring loaded swing lid and has a 40 litre capacity. 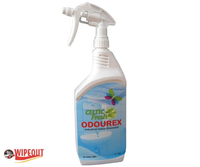 Thanks to its aesthetically pleasing looks it is perfect for use in public areas, washrooms and kitchens. 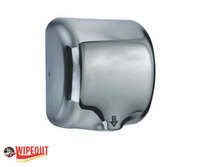 The unique dome shape and durable stainless steel finish make it easy to clean and maintain even in the busiest washrooms. 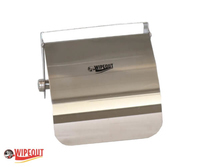 The spring loaded lid features a push open and close lid, making disposing of waste easy and quiet.